The inverted hammer candle is a two candle pattern. The inverted hammer candle itself is a tall, upper wick and a small body. The body can have a small wick below it. It is a bullish reversal or continuation candle formation. The first candle will be a large red candle. This candle shows that the sellers are in control. The next candle will be the inverted hammer. This candle will show a long wick above the body that pierces into the red candle but the body will close below the prior red candle. 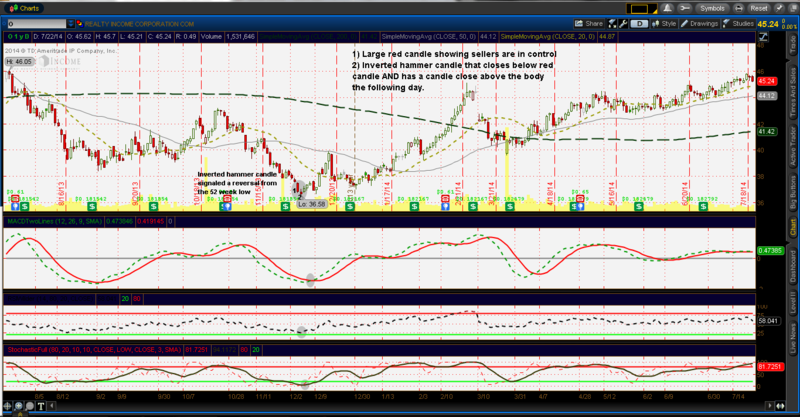 The key to this formation being a reversal is the following candle must close above the body of the inverted hammer. If it does not, it should be expected that the price of the stock may continue to fall. 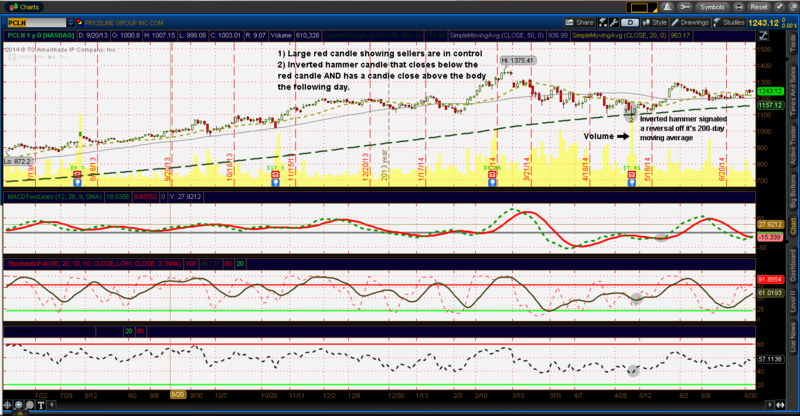 Additional significance can be added when this pattern occurs off of support. Even more significance can be added if there is an increase in volume on the inverted hammer. This candle pattern tends to work best during a large gap down. We will provide as many examples as possible to help you identify this pattern.